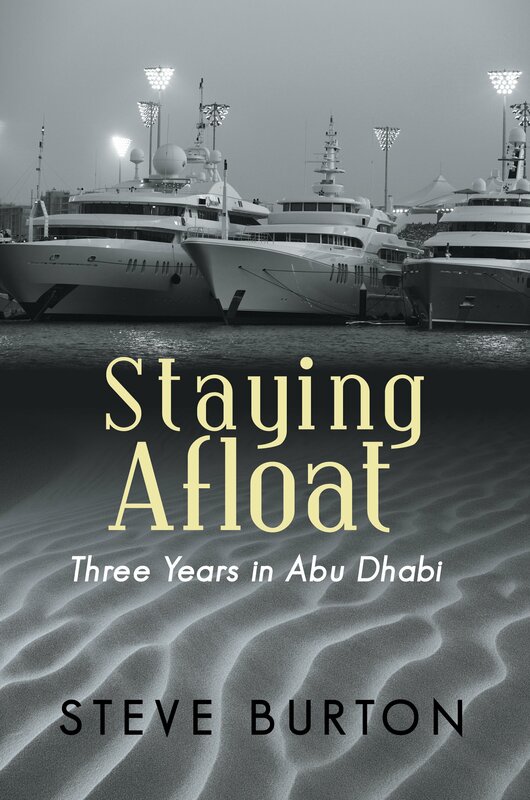 Staying Afloat – Three Years in Abu Dhabi is a delightfully entertaining, engaging and enlightening collection of cross-cultural encounters, day-to-day experiences, myths and interpretations experienced by the author and his wife, many of which required a supreme level of patience, determination and a keen sense of humor to retain sanity. Build a luxury yacht marina in a Middle Eastern desert from scratch? And expect it to become a premier global yachting destination within 30 months? You’ve got to be kidding! The author was hired in 2007 by Abu Dhabi’s flagship development company to design and develop the most technologically advanced, luxury yacht marinas on the globe while confronted with an obstacle course of unimaginable hurdles. His ride is a riveting account of challenging expectations and life-changing experiences faced as an American expat living in the wealthiest and one of the most culturally diverse countries in the world. And yes, surrounded by the world’s most politically volatile regions. The country retains his footprint today, but how it got there is a fascinating saga.